Evanston resident Jordan Zoot spoke against the city's proposed assault weapons ban at Monday's City Council meeting. Aldermen decided to delay a vote on the ban until their meeting next week. Evanston aldermen delayed voting on a proposed assault weapons ban Monday night as they took on three issues that have repeatedly sparked heated debate over the past few months. The ban was held for discussion until council’s next meeting after Ald. Don Wilson (4th) said the current legislation may not satisfy both gun enthusiasts and anti-violence activists. He said the city should take a closer look at gun laws in surrounding communities such as Skokie that focus more on operational features of a firearm as opposed to its appearance. More than 50 people signed up to talk for one minute each at the meeting, which was presided over by mayor pro tem Ald. Ann Rainey (8th). Mayor Elizabeth Tisdahl was on vacation. Evanston billionaire James N. Pritzker’s second lakefront bed-and-breakfast was approved 7-2 with Ald. Judy Fiske (1st) and Ald. Melissa Wynne (3rd) voting against the proposed establishment, 1622 Forest Place. The bed-and-breakfast will add a second hotel-like venue two houses down from another Pritzker-owned bed-and-breakfast, 300 Church St. Some Evanston residents said Ald. Mark Tendam (6th) should recuse himself from the bed-and-breakfast vote because he accepted a $1,000 donation from Tawani Enterprises Inc., Pritzker’s investment firm. Rainey defended Tendam, saying the residents’ concerns would be better addressed by the city’s Board of Ethics. “I’m not going to let any Tendam bashing go on tonight,” Rainey said. Although it was not on the agenda, many residents at the meeting said they oppose Pritzker’s proposal to buy the Harley Clarke Mansion, 2603 Sheridan Road, from the city and turn it into a boutique hotel. 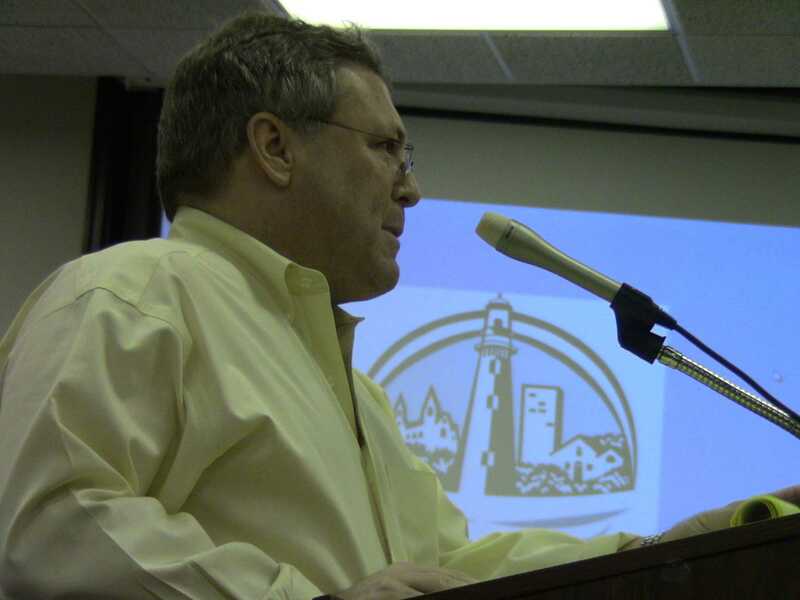 Evanston resident Jeremy Ryan spoke in front of council with his family about how the purchase would negatively affect children who enjoy going to the nearby Lighthouse Beach. “It is the inevitable cascade of events that this will lead to families no longer having access to the beach,” Ryan told The Daily. Also on the agenda was Piven Theatre Workshop’s request for a city loan to expand its presence in the Noyes Cultural Arts Center by adding a theater to the building, 927 Noyes St. Leslie Brown, executive director of the theater, said the arts group would also renovate the building. John Wright, a student at the arts center and former classics professor, said Piven’s plan to recondition the aged building is unnecessary because the building is already in good condition. Tendam suggesting moving a performance theater downtown and funding through donations from community organizations. Brown said the idea seemed feasible but she hopes for a long-term solution. “This can’t just be another way to kick it down the road,” Brown said. Tags: 1622 Forest Place, 2603 Sheridan Road, 300 Church St., 927 Noyes St., aldermen, Ann Rainey, assault weapons ban, Bed and Breakfast, Board of Ethics, Church Street, City Council, council, Don Wilson, Elizabeth Tisdahl, Evanston aldermen, Evanston City Council, Forest Place, Harley Clarke Mansion, James N. Pritzker, Jeremy Ryan, John Wright, Judy Fiske, Leslie Brown, Melissa Wynne, Noyes Cultural Arts Center, Noyes Street, Piven, Piven Theatre Workshop, Pritzker, Sheridan Road, Skokie, Tawani Enterprises Inc.